When a foodie suggested I take my family who are visiting to Jones the Grocer for breakfast I was a bit unsure. We’ve been to the outlet at Gate Mall several times but poor service and a pretty hefty bills took their toll and we haven’t been for over a year. However, the reviews of the (newish) outlet at The Pearl seemed positive so we gave it a try. After a lovely stroll around the Pearl in the morning sunshine we arrived about 9.30am and all the tables outside were free. What a view – West Bay in the distance, million riyal yachts sailing by, paddle boarders, joggers – just lovely. As soon as we sat down a waiter came out, welcomed us and we perused the menu. Fresh juices and coffee arrived quickly and we ordered breakfast. The food arrived within ten minutes, fresh, hot and really tasty. 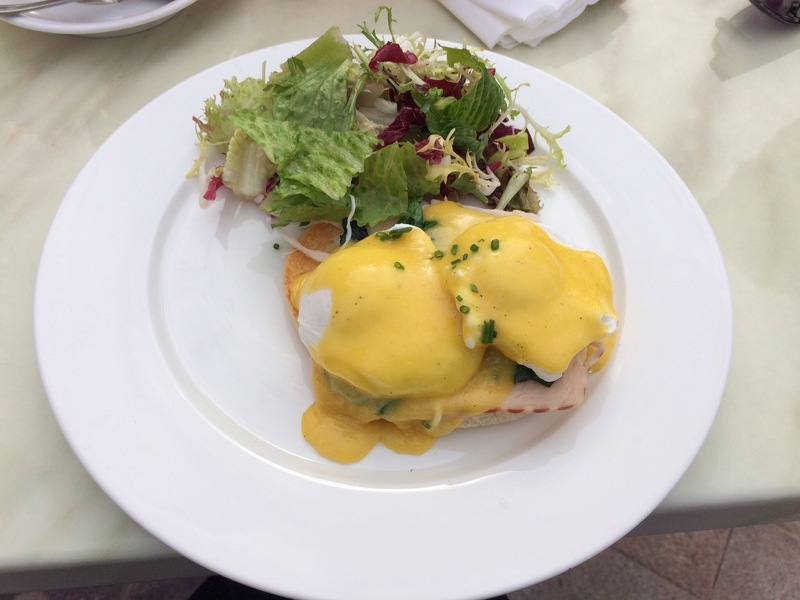 Three orders of Eggs Benedict one with salmon, one with ham, one with bacon and all with runny yolk eggs as requested, toasted muffin, salad and a good dollop of rich hollandaise sauce (although this could have done with a splash more vinegar and lemon to make it shaper). 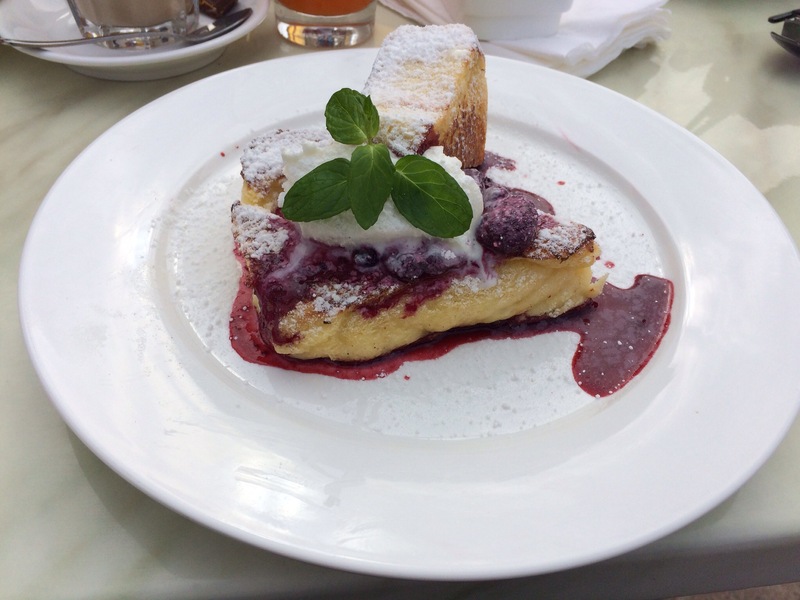 I ordered french toast with berries and mascarpone and it was perfect. The toast was crunchy on the outside and soft in the middle, the mascarpone was thick and rich and the berries were sweet without being tart. There was a good balance of each component part. It was quite a quick visit as we had plans for the rest of the day but we all really enjoyed it. 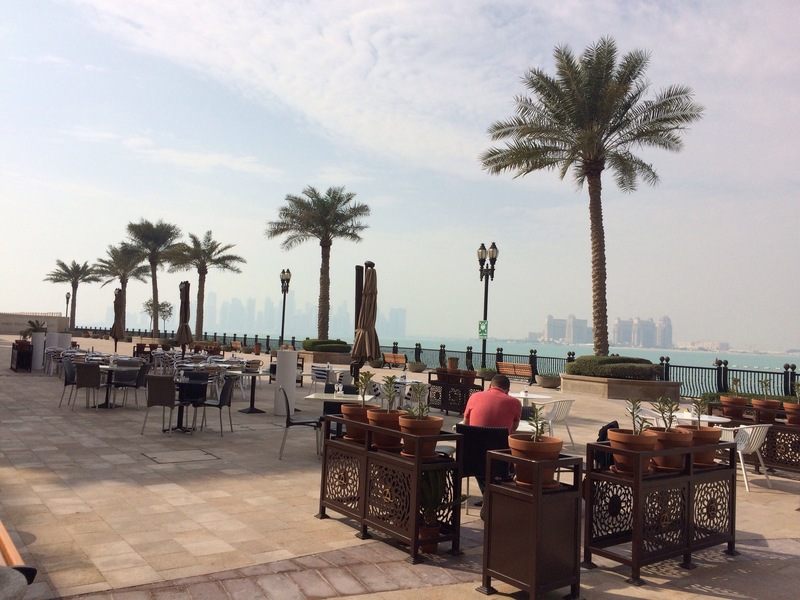 The food was really good, the service was quick and friendly and the view was stunning. The bill came to 300QR which is fair but I probably wouldnt spend that much on breakfast every weekend! Jones the Grocer is back on my list of places to eat – maybe I’ll try Gate Mall again…..!